Going to the races is such an important and fun part of Australian culture. It’s full of excitement, thrills and of course fashion on the fields. Seeing the bright colours and the statement headpieces is so exciting. It’s the best part of the Spring carnival season. 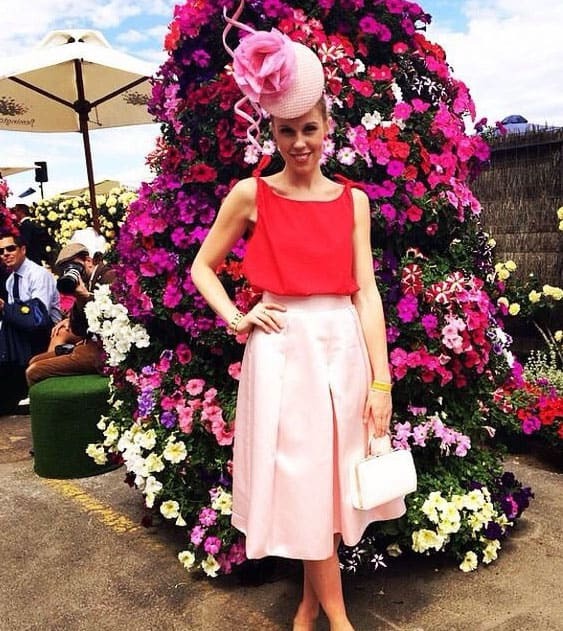 Spring racing fashion demands that you wear a fascinator as part of your outfit. Big, small, lacy, structural, with lots of flowers to your choice – as long as you have a fascinator on your head. 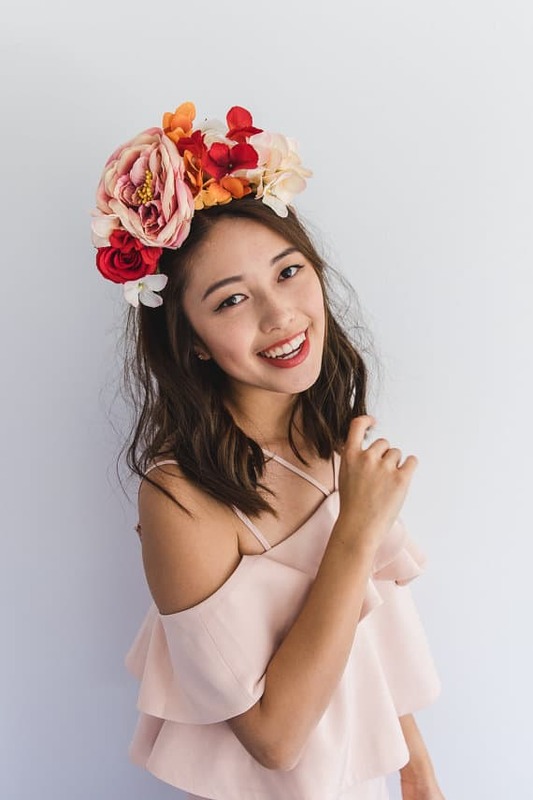 We at Kat Flowers believe that the fascinator is the hero of the day and advise that you choose your fascinator FIRST and then mix and match everything else around it. This is the best method to ensure you get things right first time. The tradition of wearing fascinators to important occasions dates back to Marie Antoinette, the queen of France. These days, fascinators are worn on occasions where a hat would have been traditional such as weddings, funerals and of course the races. However attending the races isn’t as easy as you may think. There is the dress you must choose, the shoes you need to match, the hairstyle you need to finalise and organise and most importantly – the all important fascinator that you need to make a statement in. This can get crazy very quickly so we advise you plan early. Call us well before the Spring Racing Season and get YOUR fascinator organised first – asap. The following are some tips for picking the correct fascinator for YOU and your overall outfit. Depending on your face shape – fascinators best suit faces as described below -here are some tips help pick out the right fascinator for you. Wear fascinators with more width. You can also wear those that are smaller and have more details on them. For those with longer oval face shapes, a large brim hat always complements the face shape. Wear fascinators that are wide and those with long line details. Fascinators that slope away from the forehead are also good. Brim hats are highly recommended. Wear a fascinator that has layers and heights. Also look for feathers, and larger flowers with flowing lines details to soften look. This is good for large statement fascinators that clip on the hair. Use the bun to create extra space for the headpiece to be placed on your head. For a circular tidy bun, use a hair donut. For a messy bun, go freestyle. Ponytails are great for crowns. Plan how and where you will wear your fascinator. Add a fringe to frame your face. Use volumising hair spray to the pony to add bounce. This in an excellent choice of hair style for fascinators that extend outwards. The best way for natural waves is to wash your hair the night before and to scrunch up your damp hair and let it dry naturally. Add some texturising hair spray for that extra wavy look. Touch up with a curling wand the next morning and set with hair spray for that final touch. Firstly pick your outfit AFTER you have purchased your fascinator with us. Dresses are easier to buy and there are many choices available which can be easily matched to your fascinator. However fascinators are now – the main event! Pick your fascinator first – we cannot recommend this any stronger. As advised, your dress should follow your fascinator. They should complement each other. Alternatively, your dress can be subtly contrasting the fascinator for the fascinator to stand out. Choose comfy heels. If not, bring fold-up flats to put in your purse. Do not leave the race track in bare feet at the end of the day – you want to look classy and do justice to that work of art on your head. 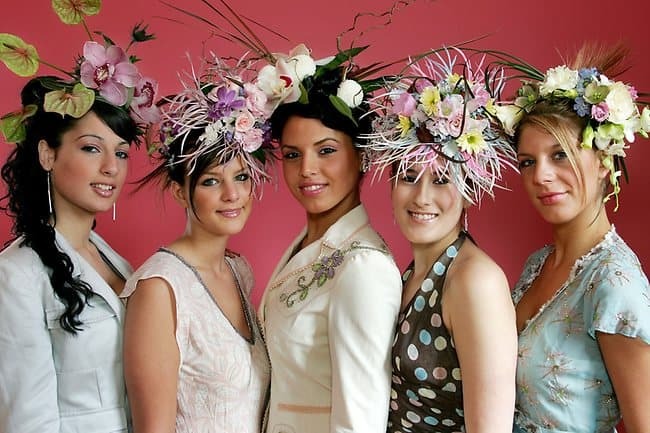 The bigger the fascinator does not always means it is better – we recommend a personal consultation with us at Kat Flowers and Events to go over all of the options as described above to ensure your choose the right fascinator – just for YOU. The fascinator is going to be the hero of the overall look and outfit – choose your fascinator FIRST and work everything else around the fascinator – not the other way around. 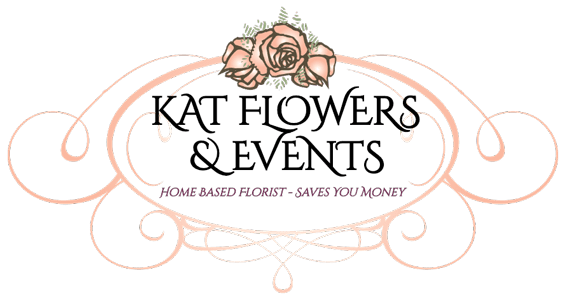 Be yourself – remember you are wearing it so the fascinator should reflect YOU and your taste – we at Kat Flowers and Events will ensure we make the perfect fascinator that suits YOUR choices and your tastes. Contact us today for a personalised consultation to start designing your perfect fascinator for this years Spring Racing Carnival season. We will make the perfect fascinator to suit you that everyone will be envious of.